Everyone knows that you've always wanted to take the Millenium Falcon for a spin. But we seriously doubt Mr. Han Solo's going to be letting anyone else fly the Falcon anytime soon. But if you've got your mind set on sitting in the cockpit, well, you're going to have to think of a strategy to get yourself into the pilot's seat. Maybe we could just give Chewie a break? Yeah, that's actually a really great idea! We're sure Chewbacca wouldn't mind taking a little break. Maybe he'd like to take an trip to Shyriiwook and hang out his family for awhile. Or maybe he'd just like to put his legs up and let someone else deal with Han and all the associated smuggler business. Maybe he'd even like to take a tropical vacation! Well, if you're going to slip onboard the Falcon, you are going to need a Wookie costume to fill in for good ol' Chewbacca. 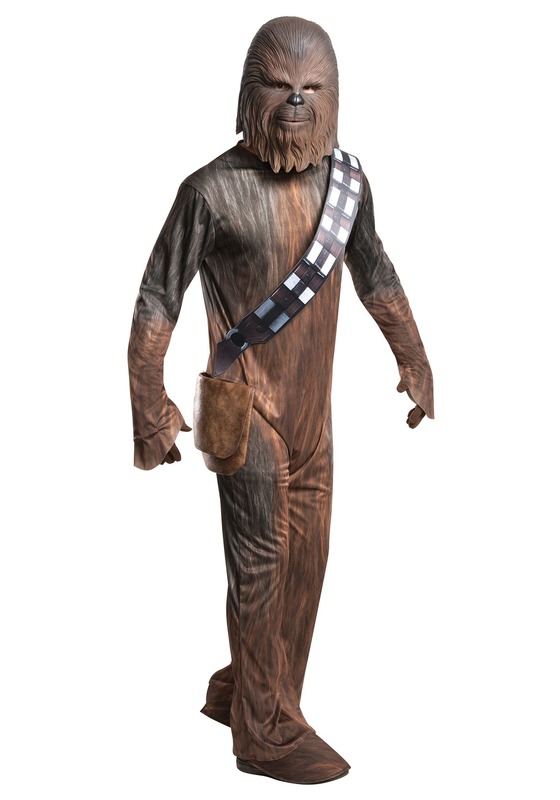 So, just try this deluxe men's Chewbacca Costume. Star Wars officially licensed, it's the perfect way to get into the Wookie game, and as a printed jumpsuit, you won't even need any fur! You might still need a few good Wookie roars (definitely practice those!) and you'll probably want to be a crack shot with a bowcaster too. But as far as lookin like Chewie? Hey, this costume's got you covered. And it's Star Wars and Disney officially licensed, so basically you'll be the real Chewbacca. Hey, you never know, maybe he'll want to take an extra long vacation!